to update the stadium’s club cards and tickets. In anticipation of the 2017–2018 soccer season, FC Krasnodar produced new match and season tickets, the latter in the form of club cards of three categories. 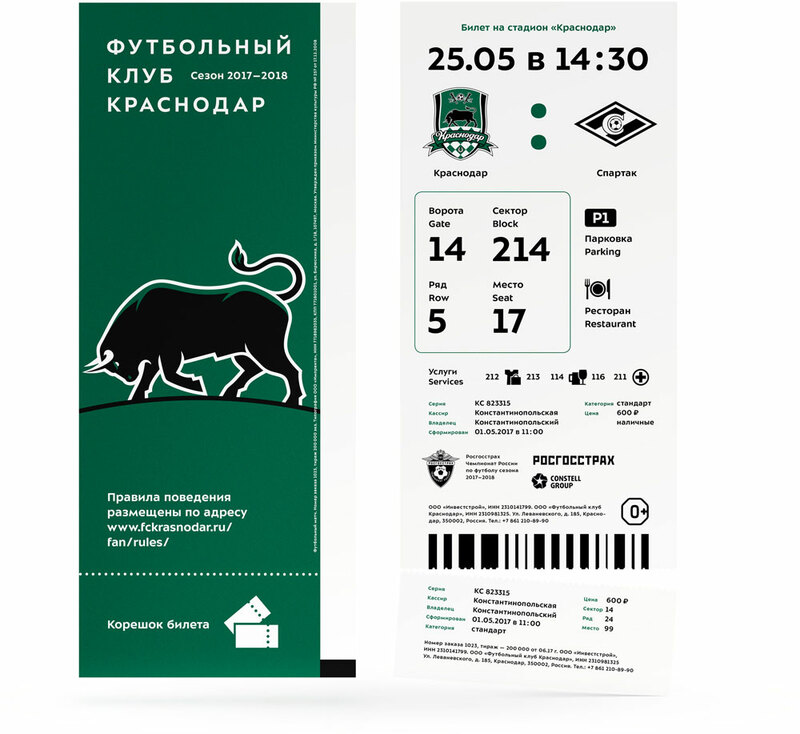 Designed at the studio, the tickets are decorated by the signature Krasnodar bull that has acquired a new profile and become more mighty and powerful. Coordinates on the tickets are printed in different typeface size as they become more precise, from gate number to seat number. 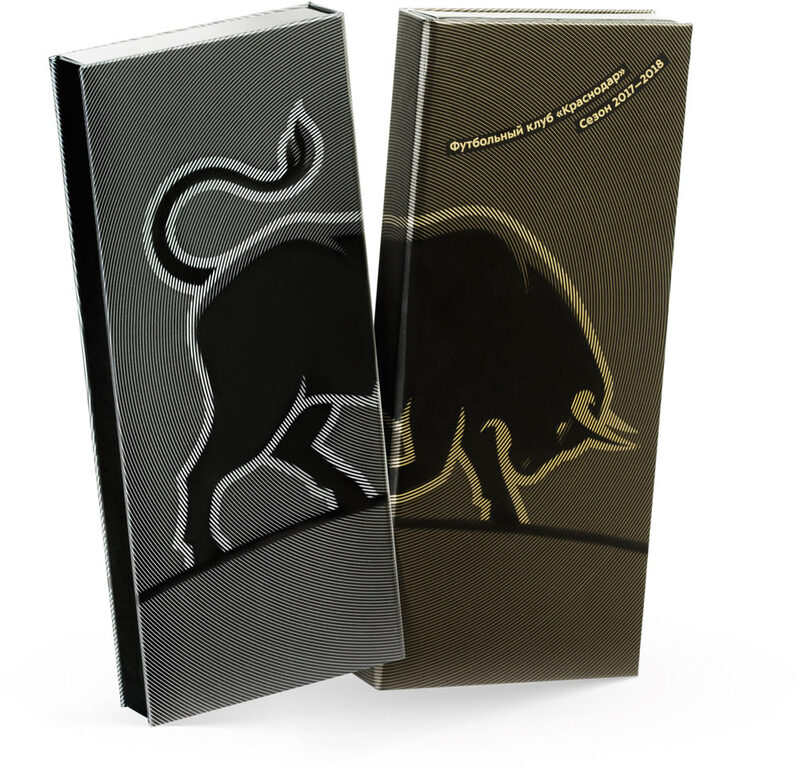 Silver and gold club cards come in ticket-sized souvenir boxes with a circular pattern decorating both the boxes and the cards. On club cards the pattern is printed with a metallic paint and looks especially impressive. The updated layout of the tickets highlights gate, block, row and seat numbers.